One thing about the design of this guitar is that it is pure flamenco. I had never played on a flamenca blanca type of guitar, and it shows I had been missing out on a lot of awesomeness for playing flamenco style techniques. The choice of woods looks absolutely gorgeous and more importantly, contributes to the guitars great balance between resonance, aggressive speed and responsiveness. The overall design really screams quality. There are small details on every inch of the guitar reminding you that this is a serious instrument, and serious care was taken in its design. To protect your investment Cordoba also includes a very nicely designed and light hard case which is also a nice touch. This specific guitar sounds absolutely gorgeous for flamenco style techniques while being rich enough to work well for less aggressive styles. The F10 does not sound as resonant, as cordobas own classical C7, though for flamenco this is for good reason. Where their classical sounds very warm and rich the F10 sounds incredibly fast and aggressive. Playing fast rhythmic runs, shows off how chords come through with lots of clarity, without any one strum muddying the next. Tapping on the guitar’s body sounds huge opening a new world of playing ideas. For romantic type slower songs I would recommend a classical like the Cordoba C7 over this guitar anyday. Being that this is a flamenco guitar however, this is an amazing instrument if you love the aggressive rhythmic and almost percussive sounds found in flamenco. An amazing instrument, and perhaps the one I am playing most lately. The guitar looks and feels very solid. I havent beaten the guitar or anything like that to test how much damage it can endure, but it certainly feels very durable. The only possibly negative aspect in terms of reliability from Cordoba I can think of is consistency. When I picked up my Cordoba C7, it was perhaps the best sounding guitar out of the lot; what makes me question the consistency however, is that I thought it sounded better than guitars almost 3 times the price including some other more expensive Cordobas. Depending on how you look at this this can be a good thing. An excellent value for the money for those looking for a guitar that can truly express that aggressive flamenco playing where many fall short. Excellent feel, and gorgeous look and sound. During the last 2 months I have been the lucky owner of a Port City Wave OS 2×12 cabinet with WGS Veteran 30 speakers, and promised myself I would write a review on it. I knew I had to write about it since the first time I plugged my amp into it, as I was very happy with its sound quality, and as it keeps making me smile every time. I had no idea a cabinet could make such a big difference in the sound quality of the guitar, furthermore, it looks a lot better than just about every other cabinet I have seen. 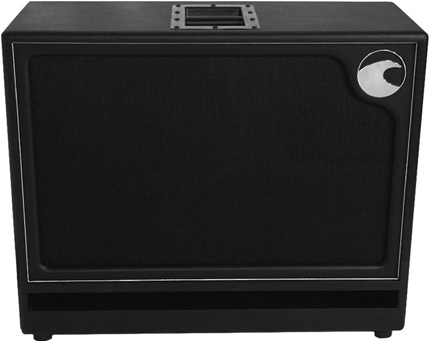 Looking at it, it has a really beautiful tolex finish, a tough but great looking mesh grill, a front port at the bottom, and a durable handle which looks capable of carrying something 20 times heavier than the cab. Everything about the design seems to have had been thought throughout to be not only aesthetically pleasing, but functional. Proofreading this article, I can see my language makes it seem as if I had fallen in love with this speaker cabinet, and perhaps such is the case even though it is still not perfect. It is beautiful, sounds great, but its very heavy and would heavily benefit from having wheels as due to its shape it is designed to be carried by only one person. I am certain Daniel at Port City can offer wheels for extra charge, however. It’s bigger in size than most 2×12 cabinets, but smaller than a 4×12, however it sounds substantially bigger than any 4×12 I have tried. WGS claims their Veteran 30 speakers sound like Celestion vintage 30s but better. In the Port City Cabinet they sound bigger and smoother than any Celestion vintage 30s I have ever heard, although I have never heard the Port City cab with Celestions. The sound has that definition of vintage 30s, but there is something special that I can safely assume is due to the combination of the Veteran 30s and the cabinet. The sound seems a lot more rounded, and seems to come out of the speaker into a room filling aura of pure awesomeness. I can equalize my amp in ways that would have made it harsh before. Overall, the sound of this combination is absolutely phenomenal; the cleans sound cleaner and bigger, and my higher gain channels sound meaner and more defined. As already mentioned the cabinet looks like a gorgeous tank. The cabinet is without a doubt built to last, and I feel I’d receive help from Port City should any problems arise in the future. Daniel Klein from Port City, for example helped me with all questions I had, and even helped me with the process of getting the WGS speakers into the cabinet. Long story short, I appreciated their great customer support, and also that of WGS. All in all I recommend this combination to all of you looking for a new cabinet. The design of the Port City does as advertised making a positive difference and improvement in the sound quality. For those of you who may be curious about the WGS Veteran 30s, they are similar to the Celestion Vintage 30s but smoother. I have not compared the two brands in the same cabinet, but from the sound I got out of the WGS in my cabinet, it is a beautiful thing. To start this article on scales, I want to mention that you may skip my lecture to the bottom of the article, where you can download some poster size printable diagrams on 3 exotic scales, as well as the harmonic minor, natural minor, and major scale. It also probably makes sense to point out what a scale is. In encyclopedia terms, it is a group of notes organized in ascending or descending order based on the pitch of the notes. This does not mean, however, that every time you play a scale you have to play every note in order. If that was the case, most music would sound eerily similar. There are many uses for scales, but the main use of them which I can see in most western music is for structure. Most western music is based around the major scale, which becomes obvious when one improvises or composes using melodies and chords from the major scale. It just has that sound. Other techniques used with scales involve using for example, say, the major scale for the harmonies, and an exotic scale for the melodies thus creating a distinct mood to the song. This which is more advanced is an invaluable tool for creating unusual melodies, and I say its more advanced as leaving the natural major scale tones can introduce lots of dissonance with some note combinations. The key here is to exploit this dissonance for dramatic effect, or to simply stick to the notes of the scale that also show in the chords. I really feel I should add another tutorial for some basic rules on resolution and dissonance, but for the meanwhile let your ears be the judge; I for one love dissonance if used in the right places. Before I can finish the article, I have to share my favorite technique when it comes to learning new scales, as well as composing outside the box. If major and minor scales are the common thing, dissonance could be the solution many of us curious explorers want. Some of the so called “exotic scales” for example introduce a lot of intervals which can be dissonant or consonant, yet still which are worlds different in their sound compared to those in a natural scale. With this said, if we grab an exotic scale and start harmonizing several of its notes into chords, we achieve a melody that sounds unusual. A lot of composers find this technique to be a waste of time, but trust me. The sounds created this way are a very exciting technique for the musician or experimentalist looking to expand his/her sound. The Hungarian Minor scale for example gives you a minor addb6 in its root chord, and a Majorb5 on its 2nd chords, and augmented on its third and so on. Thought it sounds complex, its only a matter of mixing the notes that come in the scale. Feel free to email me suggestions on what you’d like to see me cover next time. Scale Diagram Poster Link for Download here. The Ring Thing presents state of the art modulation control allowing the user to explore a new sonic world that is both familiar and inventive. Complex modulations with interactive parameters create any sound your mind can imagine. 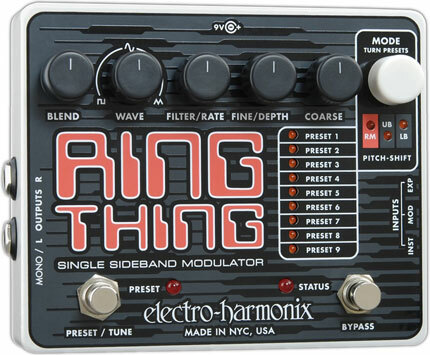 From metallic sweeps to subtle color changes to unique and limitless modulations, the Ring Thing will become your sonic dream machine. A lot, if not most of times, I wish I had my instrument with me. I am sure the vast majority of guitar players, and musicians feel the same. Knowing, my laziness, when it comes to carrying extra equipment, I know I have to do something. Today I decided to look at my options, and found the lapstick. The lapstick seems to like it could be the answer, to all the guitar players who like me, wish they could play and practice everywhere they go. I know there are many guitarists like me, when it comes to the drive to play as much as possible. With that said, although I still donâ€™t know enough about the lapstick, beyond the specs displayed on their website, it seems like it could be an interesting investment. It is an extremely small, instrument, with a built in portable amp to boot. Iâ€™m sure many of you, like I, will be glad to know of its existence. MISA creates a new digital innovation. The guitar as an instrument has seen many innovations, throughout the years, with the use of new materials, addition of electronics, as well as many other creative ideas. These innovations date back hundreds of years ago with the first guitar-like instruments evolving to what we have today. Today we have many choices, including versatile improvements on the original designs, as well as a variety of guitar types for different uses. The 1930s for example gave us a new form of guitar, introducing electronics into the originally acoustic instrument. It is creativity like that which allowed thousands of musicians to explore new sounds. Later on, in the 1950â€™s, the floating tremolo systems became popular giving players more options and room for experimentation. It is all these developments that allow creative musicians to do new things and create new forms of music with new textures not heard before. With the awesome developments technology brings to us everyday, I am excited to see one of the new MISA guitars in action. I donâ€™t think it will replace my electric or acoustic guitars, but I am almost certain that for many things such an instrument could become the go to instrument for many. Such instrument after all, is not intended to replace the electric guitar, but rather to complement it, in the same way electric and acoustic guitars complement each other. 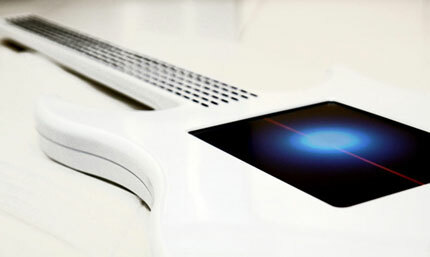 This technology could evolve into the main instrument for many musicians. I guess only time will tell, though I want to be part of the experiment if I can afford it. For this, my first tutorial for guitarliving.com, I wanted to start with something of a foundation into theory so that we may build upon this lesson as things get more advanced. Theory though boring at first, will help you open many doors in the world of music. Please keep in mind, however, that theory should be used as a tool or guide, rather than a rule for writing music. Almost 100% of the music is based on the 12 notes that make up the chromatic scale. Each set of these 12 notes is called an octave. These octaves are infinite and repeat with the same harmonic values but at a pitch thatâ€™s higher or lower. So if you play all the notes of the chromatic scale, and then you play the same notes in a higher octave, you will find that these notes are the same, but in a higher pitch. With that said, the space from one note to another is a semitone. And two semitones make up a tone. The twelve notes of the chromatic scale can be named by their names which correspond to the letters A to G, or by their intervallic relationship by using roman numerals. â€¦ after â€œBâ€ the notes repeat again in a higher octave, and so on infinitely. For the numerals, think of the “I” as being the â€œkeyâ€ (I will explain more on this), and the other numerals, expressing their relationship to that “I” interval or key. The letter naming system is used to mention a specific note, while the roman numerals express the relationship between a given note and the key. for example when the key or first is C its third is “E”, and its sixth is “A”.